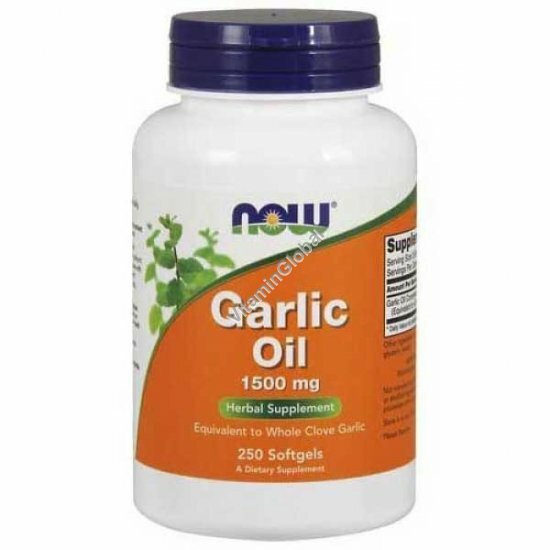 NOW®'s Garlic Oil is extracted and concentrated from the bulb of Allium sativum. It is equivalent to a whole garlic clove with no added fillers. Garlic abounds with naturally occurring sulfur compounds, amino acids and trace minerals. Directions: Take 3 softgels daily, preferably with food. Available in packages of 250 softgels.